Viva la dolce! : HOLIDAY ROUND-UP! The holiday season is great time to try something new! So, I've gotten together with some of my favourite bloggers, to give you some ideas and suggestions for great family activities indoors or out! 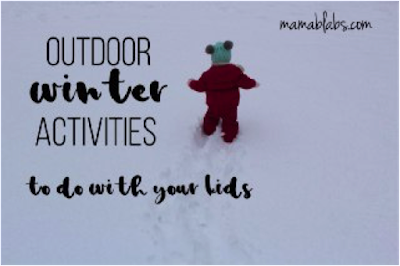 Outdoor Activities to do this winter with your kids! Wondering how you're going to get through this winter season without going crazy, cooped up inside all day? Then don't! Here are eight awesome ideas to reap the benefits of getting outside, no matter what the weather decides to do. Click the link to read some fun ideas the whole family will love! The holidays are a great time to visit new places, especially those that offer festive activities with an educational twist! If you haven't already checked out Viva la Dolce's December Dolce To-Do List, be sure to do so! It's a great help in remembering all the important things to get done this month! Simple Winter Crafts your Toddlers and Preschoolers Will Love! Try this simple toddler or preschooler seasonal craft - a fun craft stick Christmas Tree! Hope you enjoyed this holiday round-up!